Personal financial planning is a crucial journey every one of us has to take if we are serious about meeting our life goals. But one misunderstanding is common among even those who are serious about financial planning. Most of us believe that financial planning is all about choosing the right selection of fixed deposits. Yes, fixed deposits are an important part of everyone’s financial planning journey, but these are not the only options. So why are these options not always enough? Let’s see! fixed deposits top the chart for being some of the most conservative investment options. fixed deposits are not affected much by the fluctuating market. However, both these options are not really on top of your financial planner’s list. The biggest drawback of fixed deposits is that they have low returns and low-interest rates, with an average of about 6 to 7%. In addition, every time RBI predicts possibilities of increasing inflation, the interest rates will also see a corresponding decrease. This rigid approach, including penalties for withdrawing within tenure, makes fixed deposits a not so popular investment option if you want to see your money grow. One of the best alternatives to fixed deposits is the mutual fund option. Yes, it comes with the warning that these investments are subject to market risks, which is what makes it a scary option to safe investment seekers. However, the returns from this option can be great if you make the right choice in mitigating the risks. They offer higher liquidity as compared to fixed deposits and can potentially give you high inflation-adjusted returns. You can also exit the plan without carrying the load of penalty. So, with the help of an expert and trusted personal financial advisor with extensive knowhow of the India market, you can definitely consider mutual funds (equity or debt) as an investment option in today’s improving economic scenario. This option is perfect for investing, if you are looking for a post-retirement plan. With many options to choose from (from equity to government funds) you can make the right decision with the help of some strong financial advice from an expert with a strong sense of the market. Company deposits too are high-risk investments since they do not guarantee the investor with any returns if there is any default. These are an option used by companies to raise funds and hence these investment options are definitely insecure. However, this risk means high interest rates; hence this means you will need the guidance of an expert financial advisory service before you make your decision. You have many other short- and long-term investment options including real estate and the ever-popular precious metals such as gold, public provident fund, taxable bonds from RBI, saving schemes for senior citizens, and definitely, insurances. We will review each of these options in our later articles. A well-guided, risk-mitigated calculative financial risk can help you reap maximum benefits. Professional help in the form of a trusted and expert financial advisor can help you draft a financial plan including a healthy mix of different types of investments and savings. Always remember that every individual or family’s life goals and journeys are unique. Hence you can plan your finances only after you first understand your journey, financial goals, current net worth, and specific investment options that are a best fit for you. 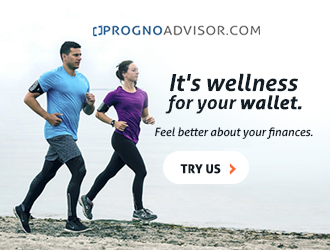 Connect with Prognoadvisor.com to understand what your financial investment options are and how you can make your money grow with confidence.